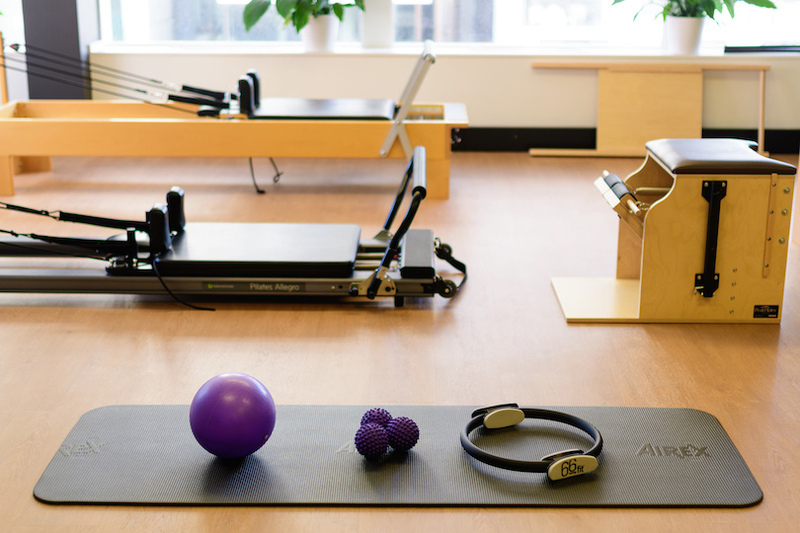 No two things are alike, even if they may look the same…and Pilates equipment is no exception. Melbourne Osteopathy Sports Injury Centre utilises a wide range of premium Pilates equipment from reputable brands to provide our clients with a great experience that goes beyond what many average studios can offer. We use equipment from Balanced Body, Pilates Equip and Peak Pilates at our studios. Our Collins Street studio even has a ‘classical’ reformer from Brooklyn, New York! As Pilates has increased in popularity, the industry has been flooded by imitation reformers with springs that aren’t useful, straps that don’t pull the right way and dimensions that completely change the efficacy of the session. We always ensure that our equipment is sourced from the best suppliers and is kept well-maintained to provide variety and challenge which enable you to reach your goals the right way, the first time. You will find all the usual larger pieces of equipment at our studios (Reformer, Cadillac, Wundachair, and Ladder barrels), but you will also find many other props such as rollers, balls, bands and weights. Many of these items are wonderful accessories that can assist with doing Pilates exercises at home and are available for purchase at our front desk. If you think Pilates equipment could help your home practice, then please enquire at reception about pricing or visit our products page for more info.